Can anyone help me? 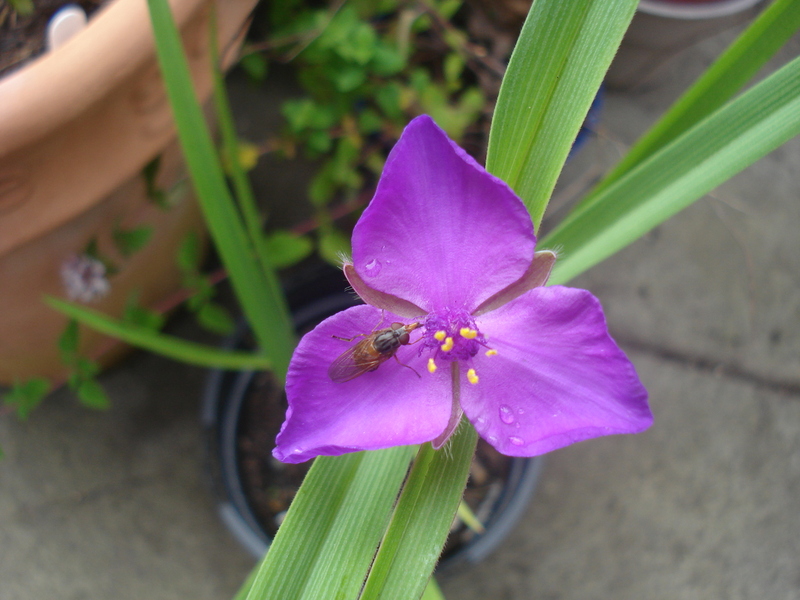 I have discovered a UFO (Unidentified Flowering Object) in a pot outside my greenhouse. Yesterday I decided to pay attention to my mantra “a tidy greenhouse is a happy greenhouse”, and set about pulling out weeds (including a pak choi plant!) 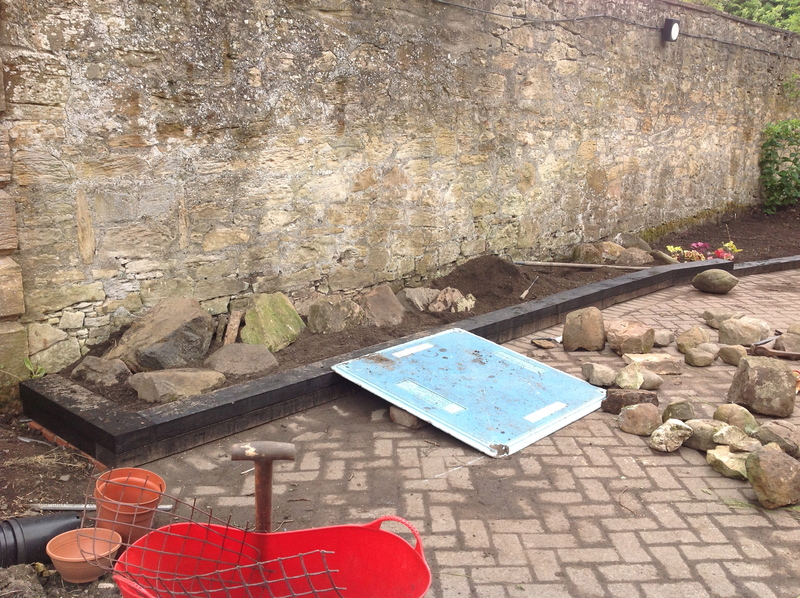 which had started growing in between the slabs and having a general tidy. At the greenhouse door was a variety of pots into which cuttings and seeds had been thrown and left to do their thing. However, having managed to identify what might actually be a plant and what was definitely a weed, I came across this little fellow. I quizzed Mr Mac about it but he drew a blank. We have no idea what it is or how it might have got into a pot outside the greenhouse. 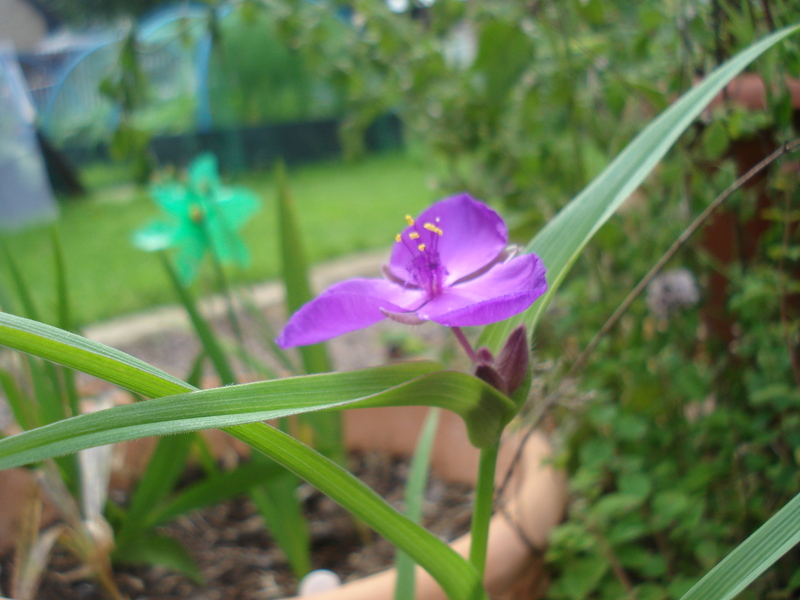 It looks like grass but with a beautiful purple flower. Apologies for the lack of focus. My camera was in a huff for some reason. Mr Mac is convinced it is a rare wild orchid. Can anyone shed any light on what it might be? This week has had a slight Christmas feel to it and as Little Sis’ has been nagging me for another blog to read I thought I would write about her favourite thing – brussels sprouts for Christmas Dinner! I had a slight panic that, due to the cold Spring, I was way behind with seed planting and had done nothing about brussels sprouts or parsnips for Christmas Dinner. I sowed a couple of rows of parsnips in one of my new raised beds and I am pleased to advise that, unlike last year, we appear to have successful germination. A staple of our winter diet is spicy parsnip soup, so this is a relief as last year we spent a fortune buying parsnips. The makings of roast parsnips and spicy parsnip soup! 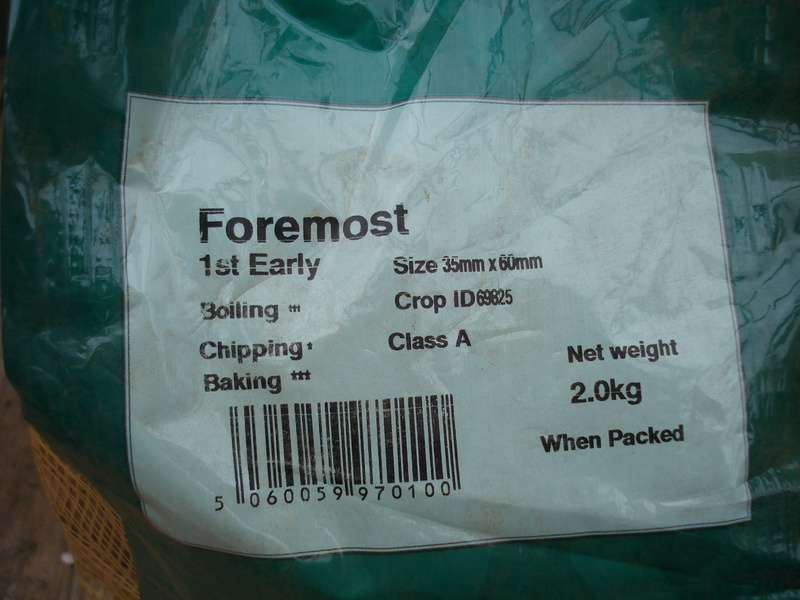 The variety is Tender and True (“Delicious for Roasting”) and from to sowing to cropping is 28-32 weeks – so we should just make it for Christmas dinner! 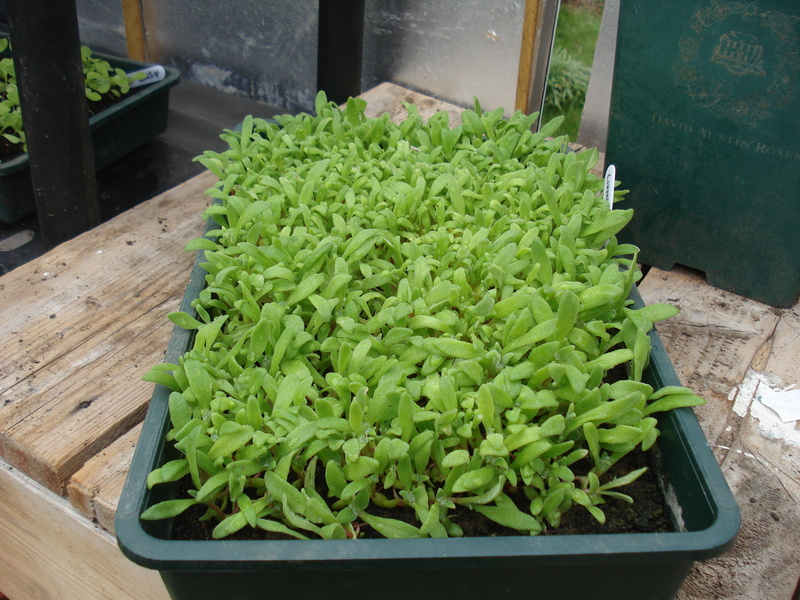 As I was over a month late with the sprouts I opted for a variety called Evesham Special (large, old-fashioned flavour sprouts) promising a heavy, early crop from medium sized plants, ideal for exposed sites. Sowings in February indicate cropping from September so fingers crossed we will have plenty for Christmas. 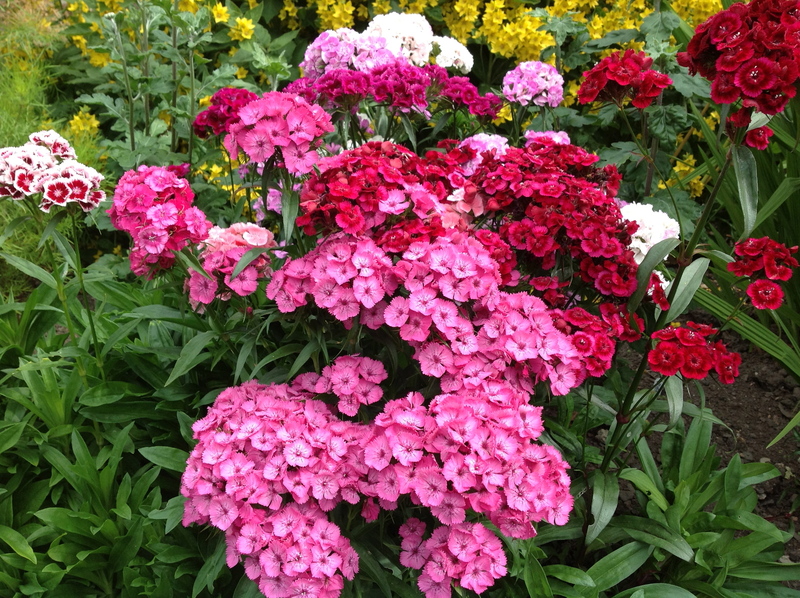 Dianthus – I am not a big fan but Mr Mac is. 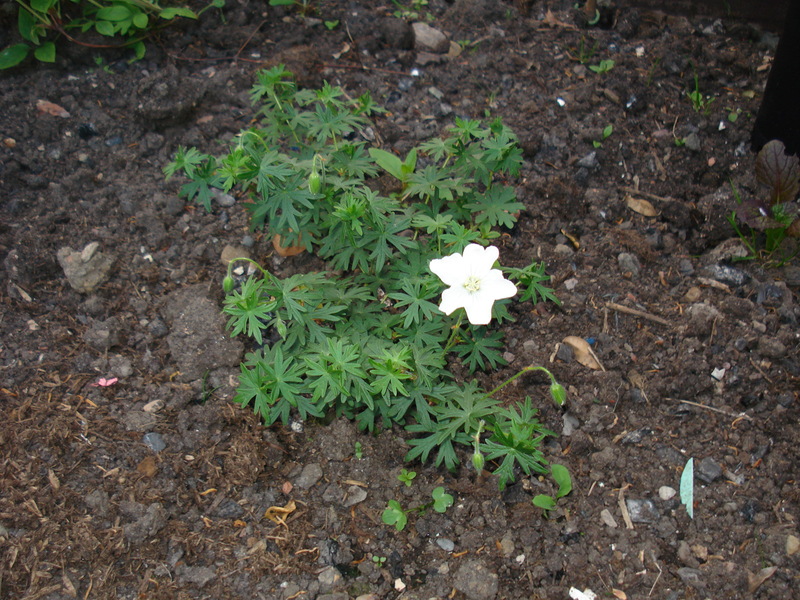 We have two in the garden already which, despite my deliberate neglect, continue to thrive. They will now be joined by another 18! Coreopsis – I was quite happy about this because I tried to grow these from seed last year and the slugs ate every single one. I was reluctant to try again but now I don’t have to. 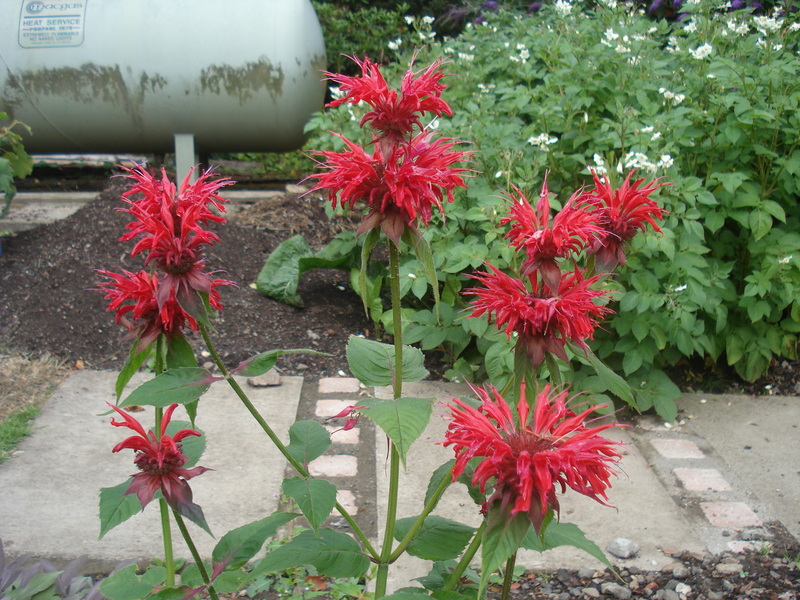 Monarda – I had never heard of this but believe the common name is Beebalm. 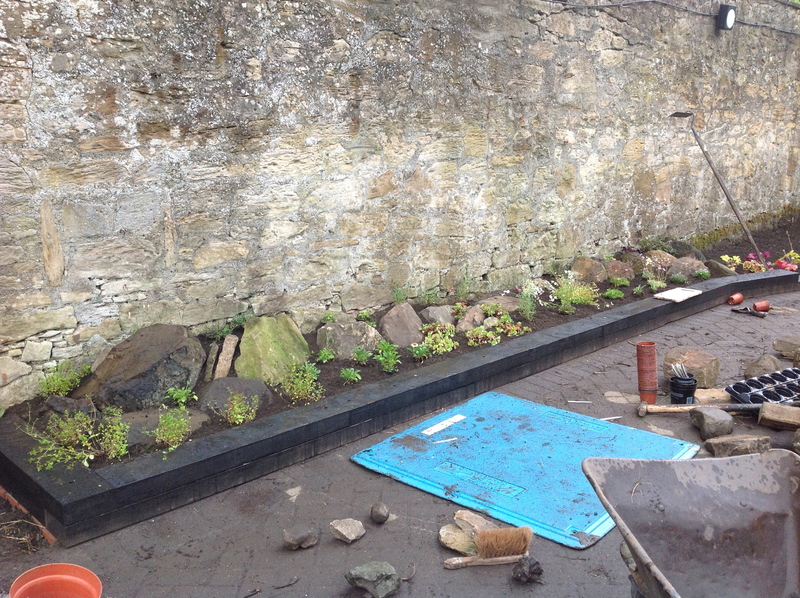 Sedum – Mr Mac had been after some of this so he was pleased. 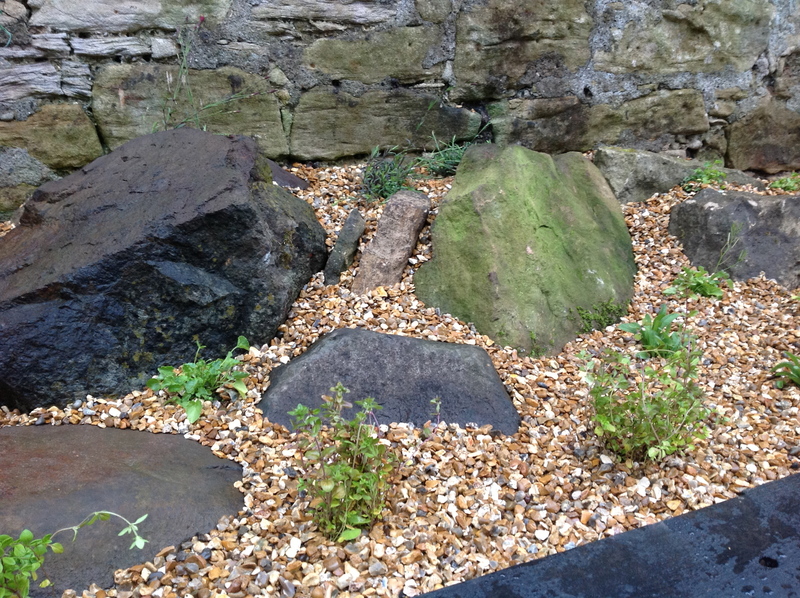 According to the catalogue it offers “drought-tolerant” late summer colour. Not something we usually have a problem with but it would be a nice problem to have for a change! 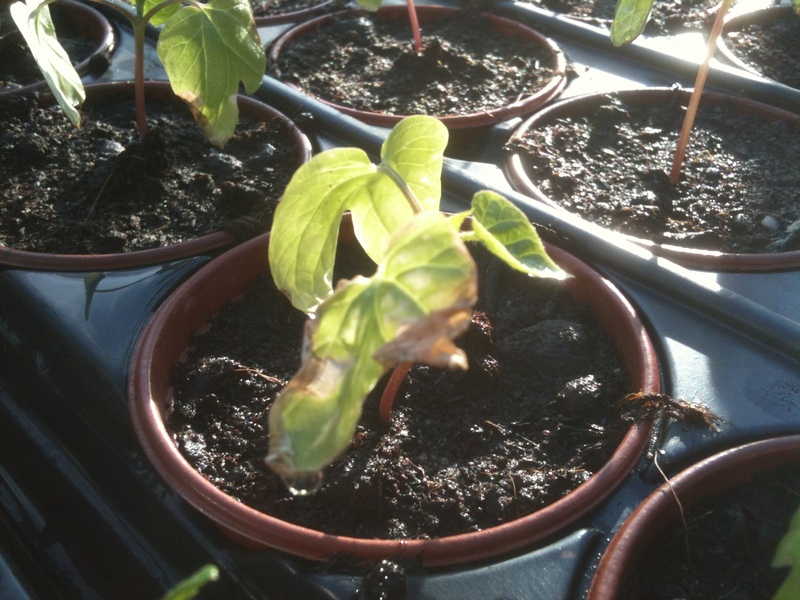 It was too hot in the greenhouse to pot them on so we sat outside in the sunshine! All potted on and ready to grow! Normally what happens at Christmas is I receive my presents and then go out and buy what I really wanted! The same was true this week. 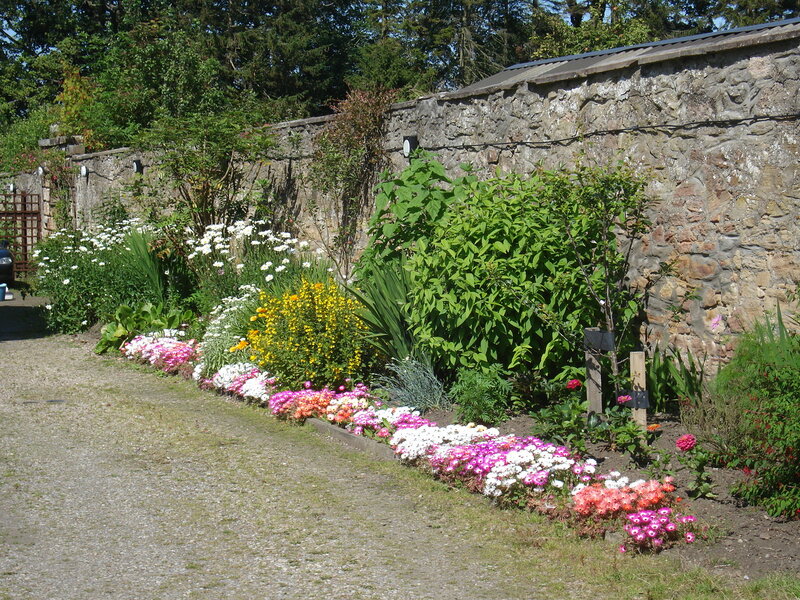 We are fortunate that Scotland’s flagship gardening show – Gardening Scotland – takes place less than a 15 minute drive away. The show was last weekend and Mr Mac and I set off with good intentions “not to go draft”- but we were like kids in a sweet shop. 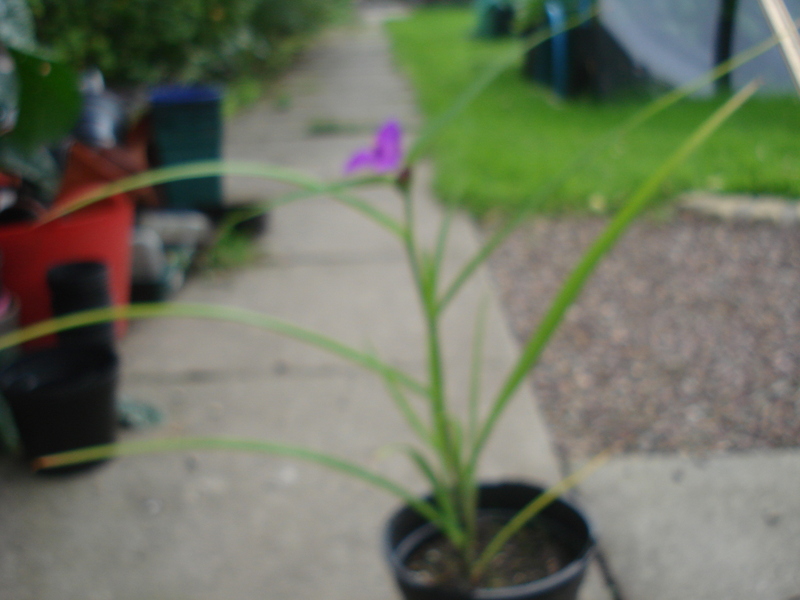 I bought some Helenium plants and another couple of Meconopsis to supplement the pathetic specimens I bought online. 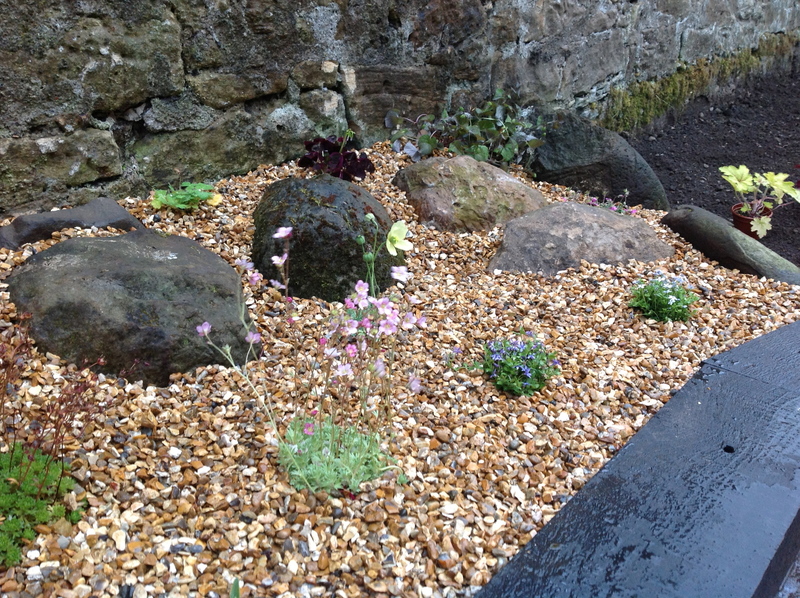 Mr Mac got some Lupins, Heuchera and some alpines. 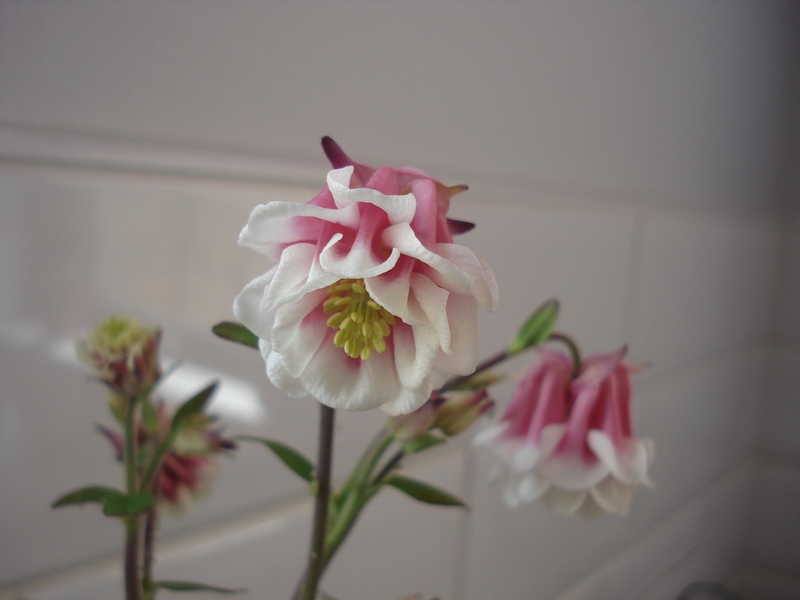 We also invested in another couple of Clemetis – a white and pink Montana for some spring colour. Finally, on a present theme, I was bemoaning to Mr Mac how I am concerned that there has been no activity from the Calla Lillies I planted in a pot. All the other bulbs are starting to show but not the lillies. When I came home from work the other evening, look what was sitting at the from door……. 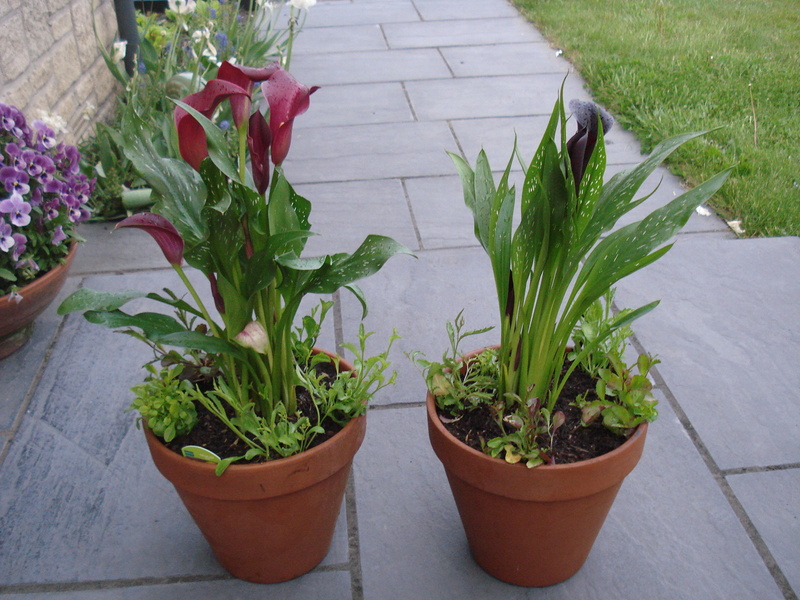 Mr Mac bought me a couple of Calla Lillies and planted them in pots with some trailing lobelia. Last Sunday I planted some flower seeds and sat them on a tray in the dining room covered with a plastic cloche (for paw protection!). 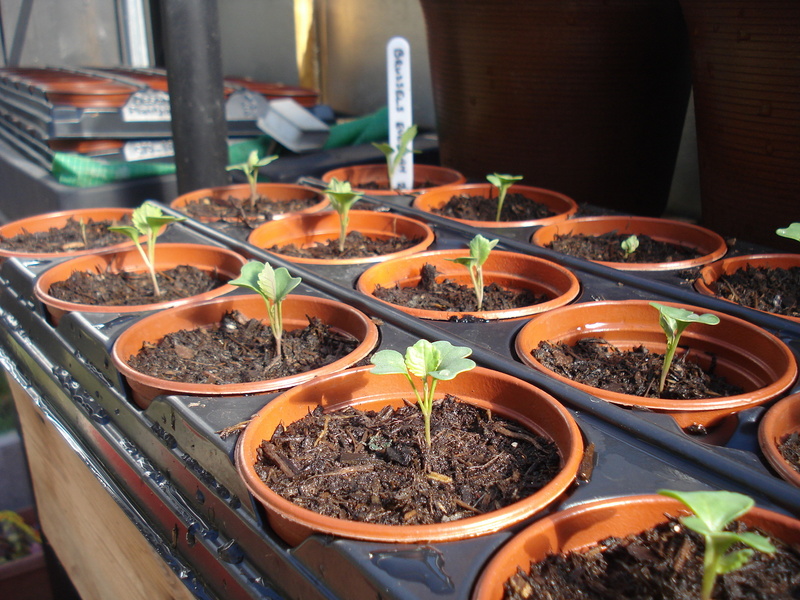 Within 2 days the Malva seeds have germinated, closely followed by the Cosmos Purity. 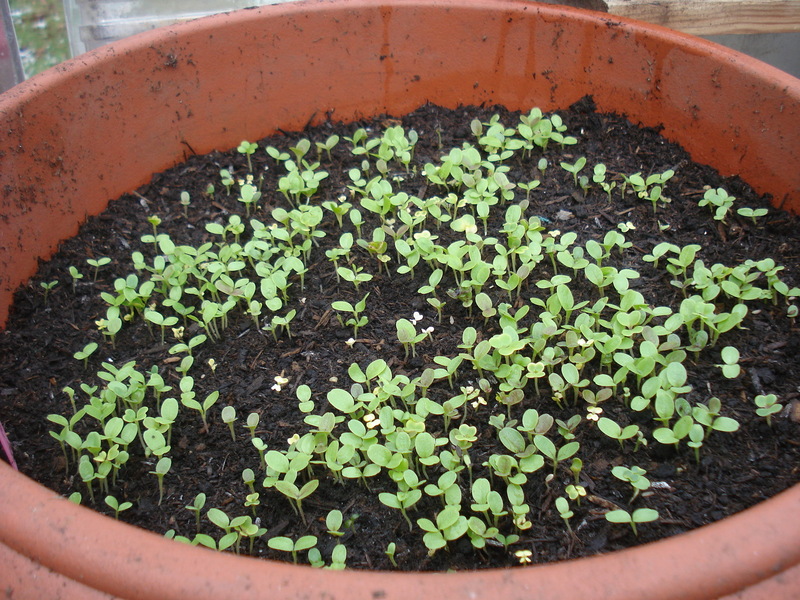 Out in the greenhouse, the lettuce leaf seeds I planted two weeks ago have now germinated but no sign of the peas yet. The garlic is now ready to be planted outside but it will probably be a few weeks before we will be able to do that as the ground is still covered in snow and will be too hard to plant. Today we finally planted the First Early potatoes. We bought them weeks ago and they have been lying in the garage in the dark, not on a sunny windowsill to chit! 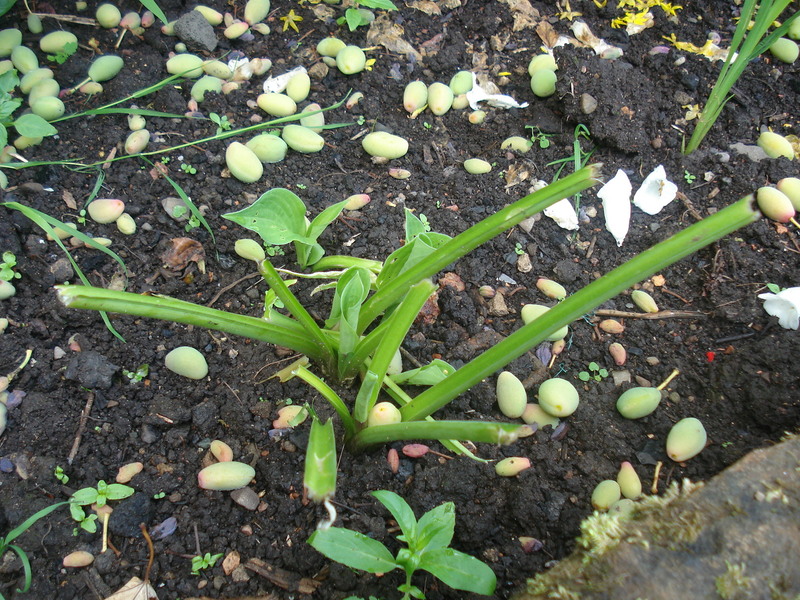 However, no harm done and plenty of growth on each seed potato. We decided to go for the same variety as last year called “Foremost”. Last year we grew them in tubs inside the greenhouse and the yield was superb. They were perfect for salads and we were eating them between June and August. Due to the main crop potatoes suffering from blight last year, these were the only potatoes we had! 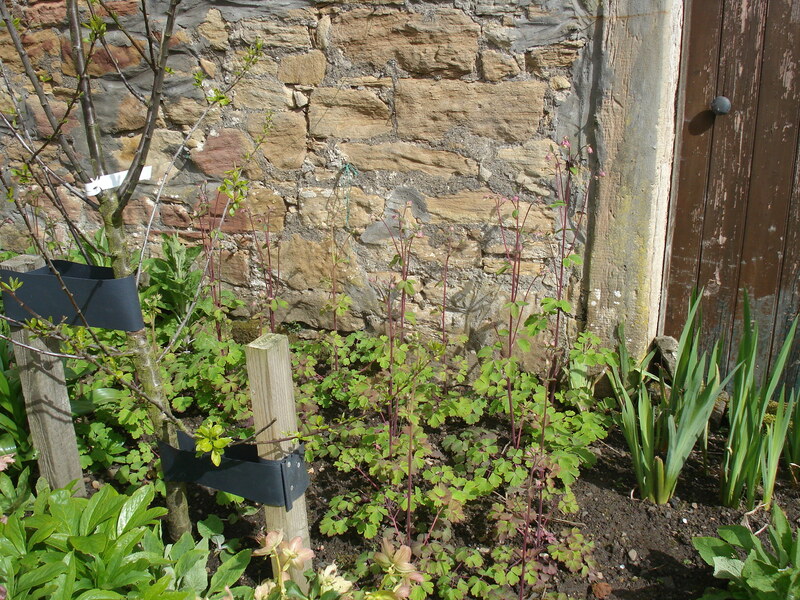 We have planted some in tubs again but also put some in compost bags. 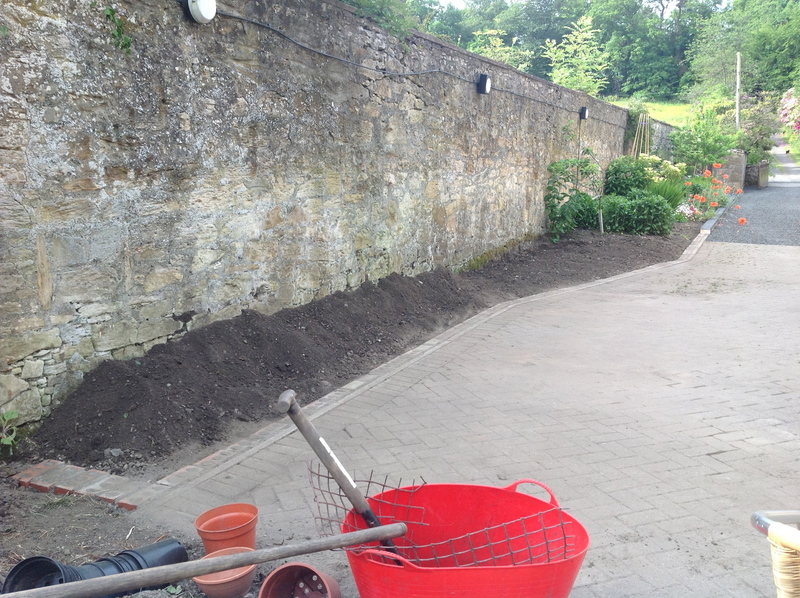 Enough soil to bury the seed potatoes and then just wait for them start growing and keep covering them with soil. A few weeks ago our garden got trashed by sheep that escaped from the field next door. 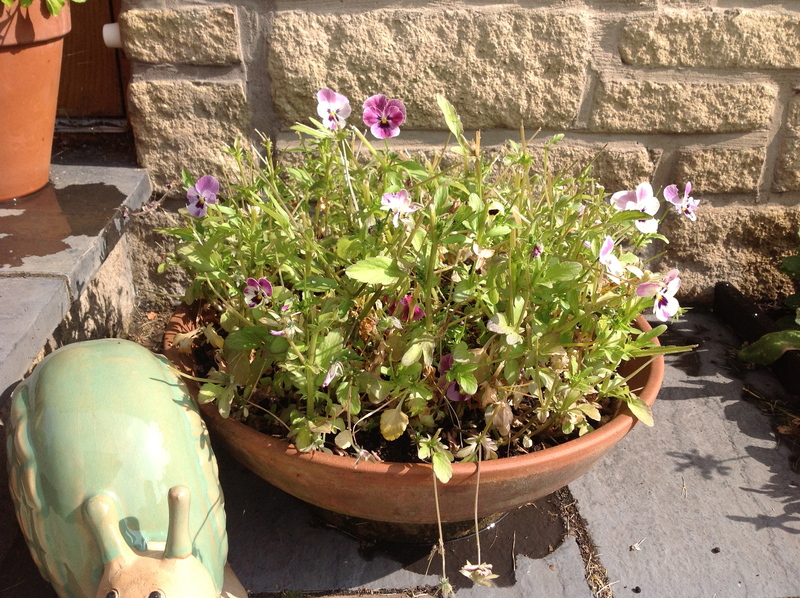 They took a fancy to my winter flowering pansies and ate the lot. I had grown them from seed since June 2012 so I was devastated. 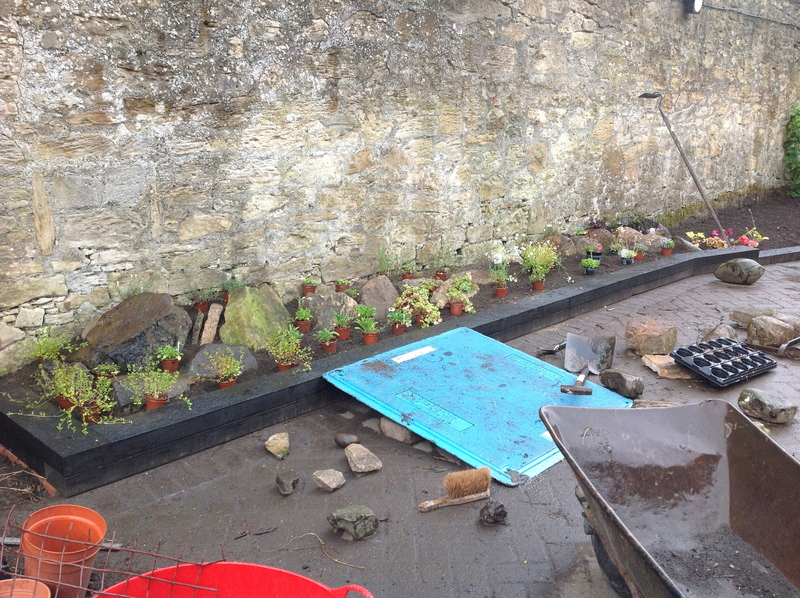 It also left me with lots of empty pots, too late to plant spring bulbs and too early for summer bedding. However, a trip to the garden centre to see what I could replace them with led me to the bargain of the year so far. 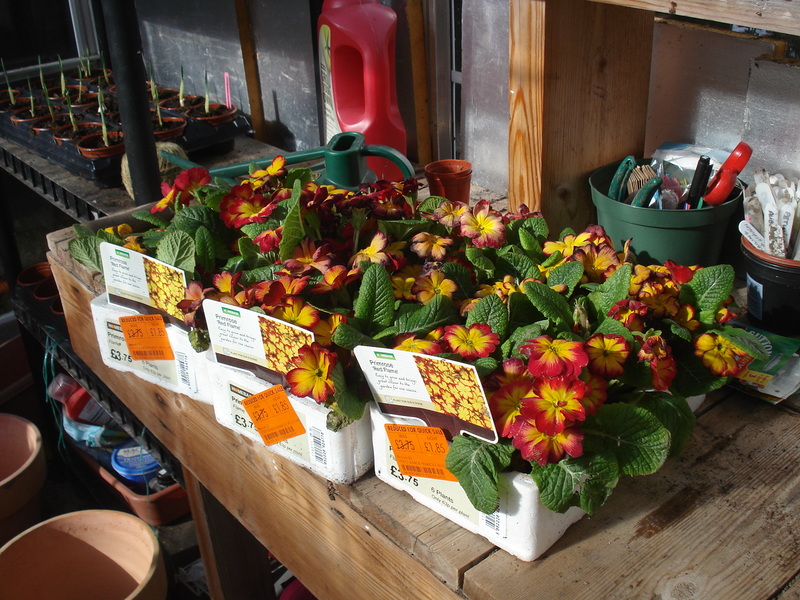 In a quiet little corner where the bargain bucket is we found trays of primulas reduced to 75p for six. So we bought all of them. 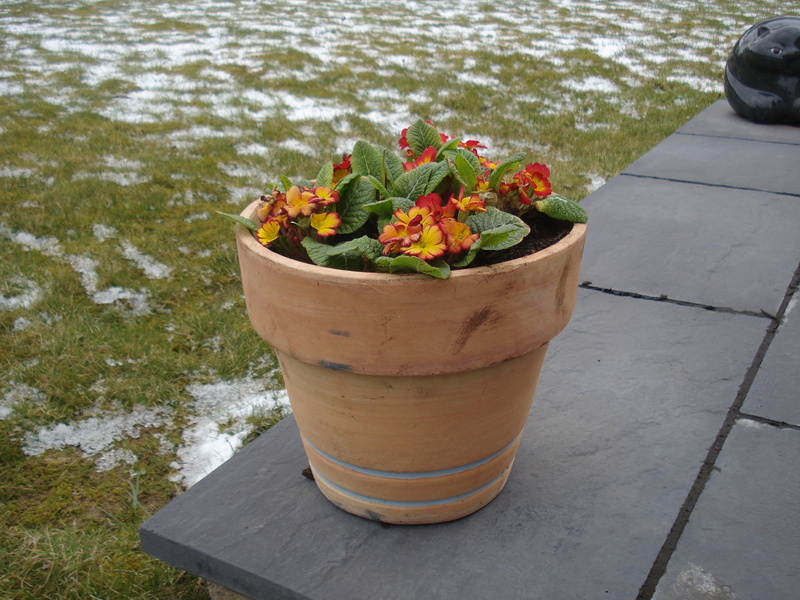 Then we saw a pile of terracotta pots, originally £15 but reduced, then reduced again to only £2.99! So we bought nine of them! 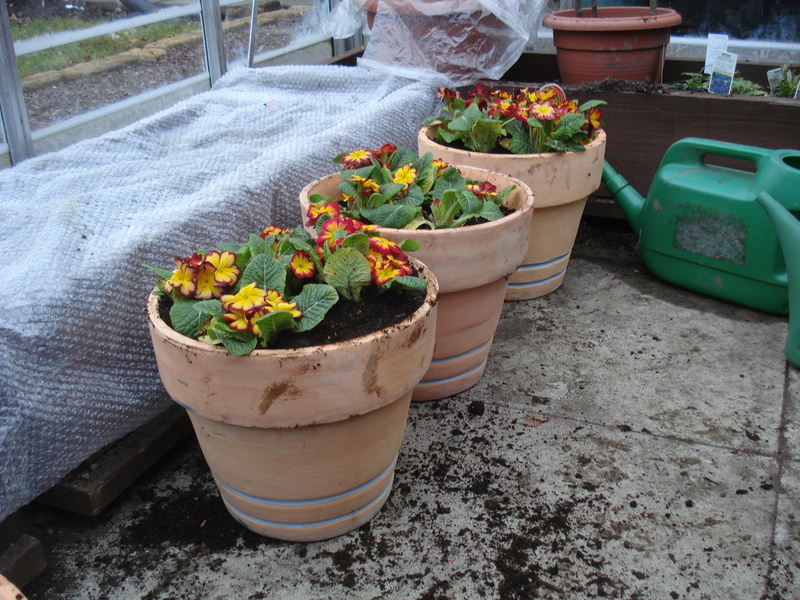 So after a little bit of dead-heading we now have three little pots of sunshine on our doorstep. Bah humbug and mint sauce! 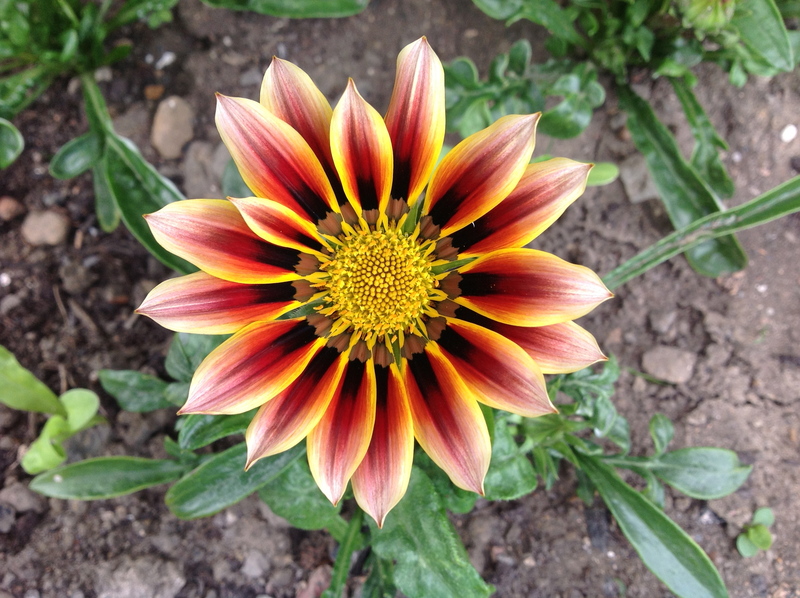 This year I discovered I am a control-freak gardener. I realised this towards the end of the summer (I use the term loosely!) when I noticed one of the areas usually swamped with vegetables was only a quarter full with a teepee of peas, one of beans and a couple of rows of beetroot and swede. To be fair, there should also have been parsnips and fennel but neither of them came to anything. 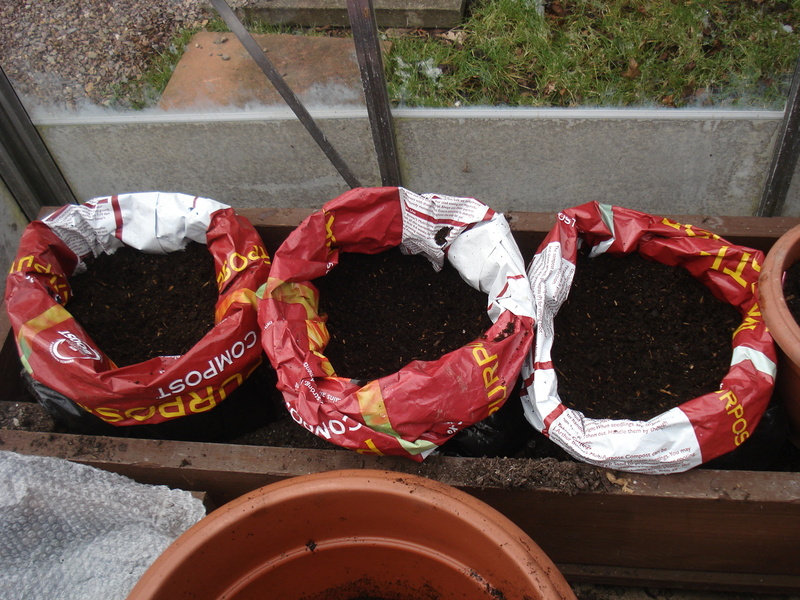 In my quest to stop worms eating potatoes, they were all in bags, my carrots and peas were in pots, melons and tomatoes in troughs and lettuces and courgettes in growbags. The control-freak in me was determined to contain everything under the misconception that I would be able to control it. Did it make any difference ……what do you think? The potatoes got eaten by slugs anyway, the carrots rebelled through lack of water and overcrowding and the courgettes got water-logged and turned to mush. However, two experiments in control-freak gardening this year were a great success. Having had limited success with sunflowers and butternut squash in previous years – the former snapping in half from wind damage just as they were about to flower, the latter requiring a whole greenhouse to themselves – I was intrigued by the cover of Suttons Spring catalogue showing the most beautiful sunflowers in a pot. The variety were Waooh! and promised “a multi-headed sunflower, producing a profusion of golden flowers with large, dark, central discs. 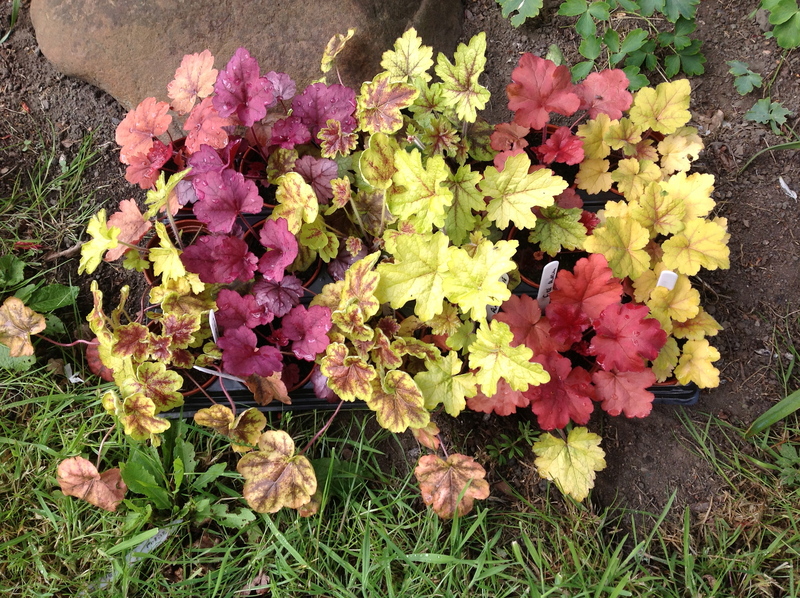 The bushy plants are ideal for border or patio container…”. 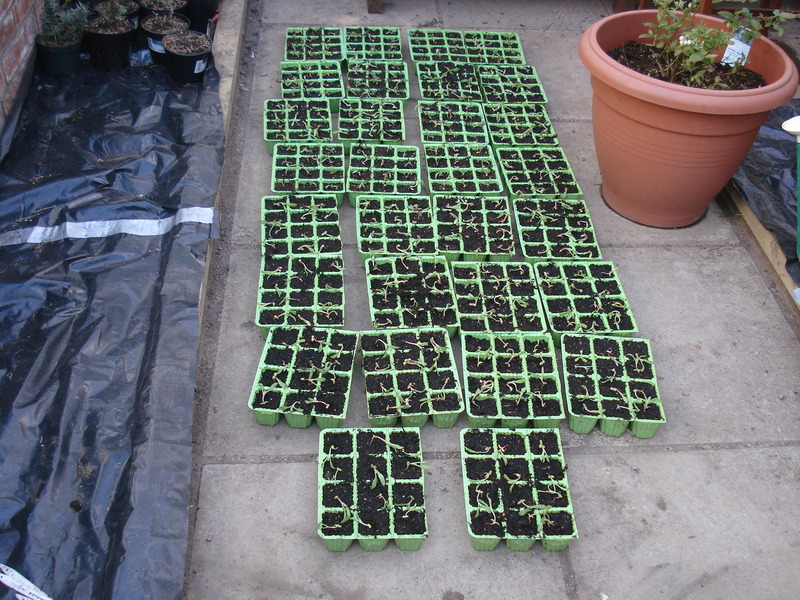 They germinated really well and I think you will agree the results were stunning. 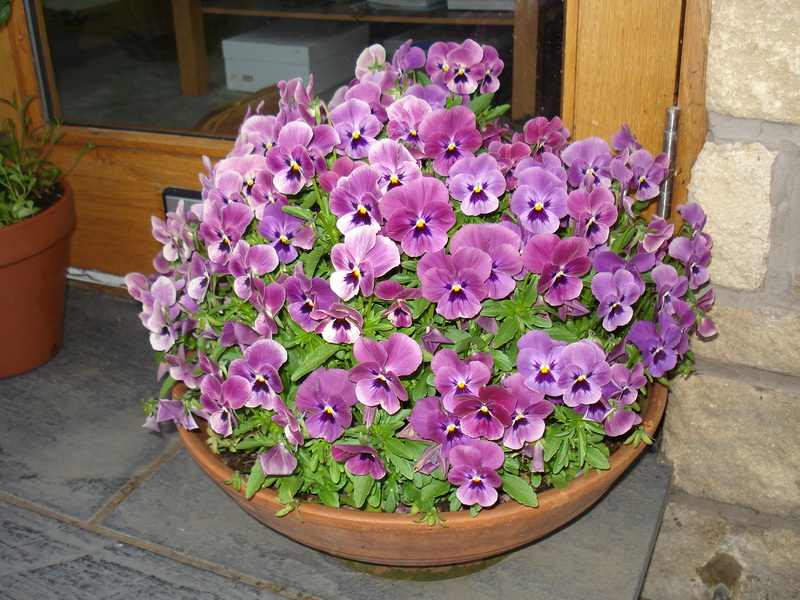 The added benefit of them being in pots was that they were portable and could be moved to a sheltered spot or placed at the front door so we could look at them from inside on the rainy days (of which there were many! ), reminding us of sunnier times. While perusing Suttons catologue I came across a similar solution for the butternut squash greenhouse hijackers – Squash F1 Butterbush. I was promised “a compact-growing variety which makes it possible to grow tasty butternut squashed on your patio.” And I was not disappointed. I grew two pots and they did have a fair spread but I was rewarded with many full size fruits. Now while these containment experiments were successful, it has become patently obvious that I don’t have room to grow everything in pots and I have a large garden with a selection of veggie patches lying empty. Something has to change. So for 2013 I have decided to try to embrace the fact that it is impossible to control nature and give myself over to the green side; worms will eat my potatoes, slugs will eat everything, caterpillars will eat my brussels and aphids, flies, beetles, bugs, mice, birds, moles and deer will all try their best to scupper my hard work. To fight nature is futile and will only end in tears. However, my inner control-freak might need a wee bit of counselling first! Patience is a virtue, especially for gardeners! 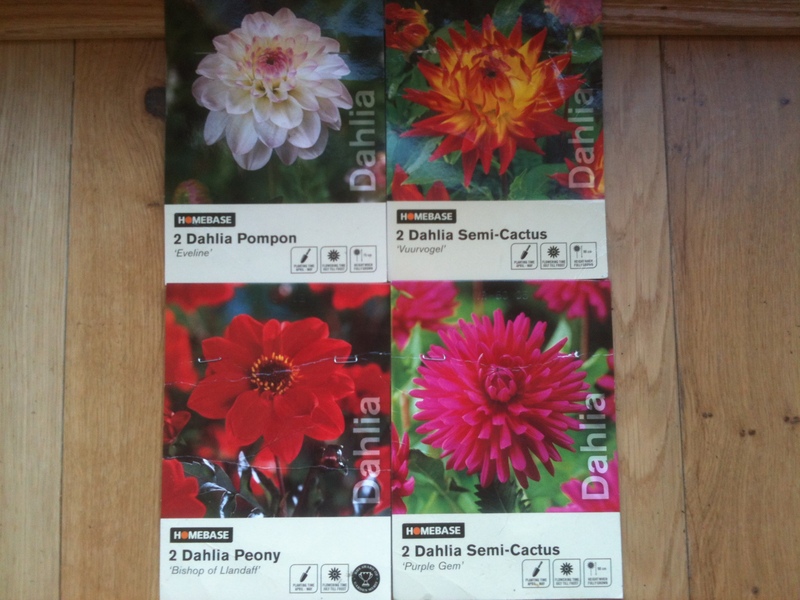 Last year, while perusing the walls of seed packets at the garden centre, one packet caught my eye. Acquilegia Petticoat Pink. 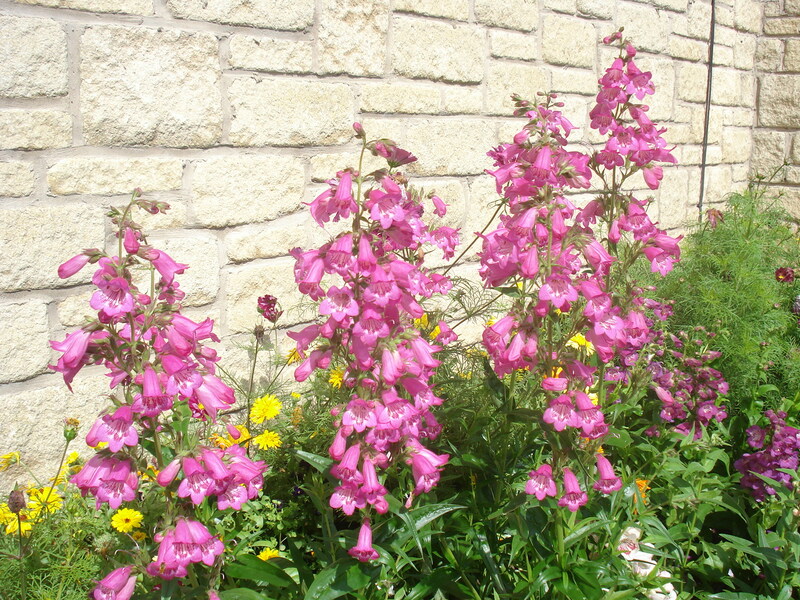 The packet stated “early colour perfect in cottage gardens”. 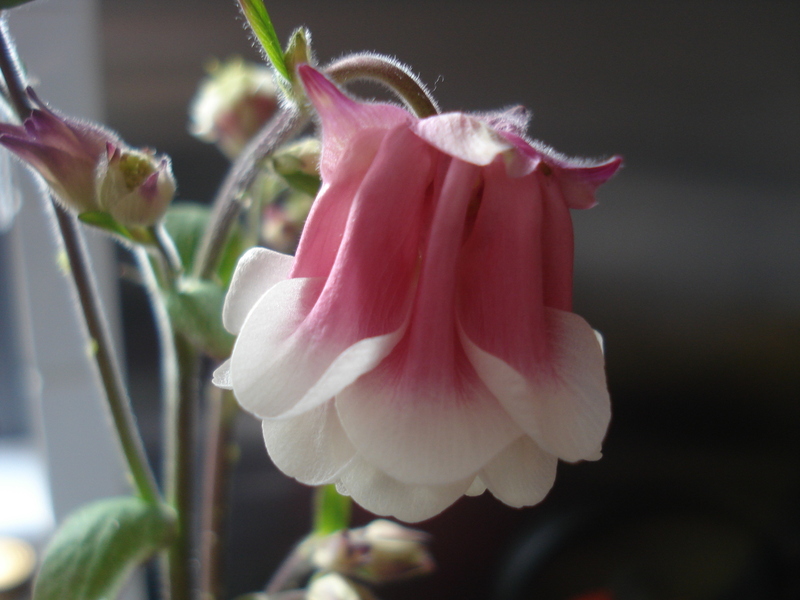 I was taken by the picture of the flowers: delicate pink and white frilly bells. 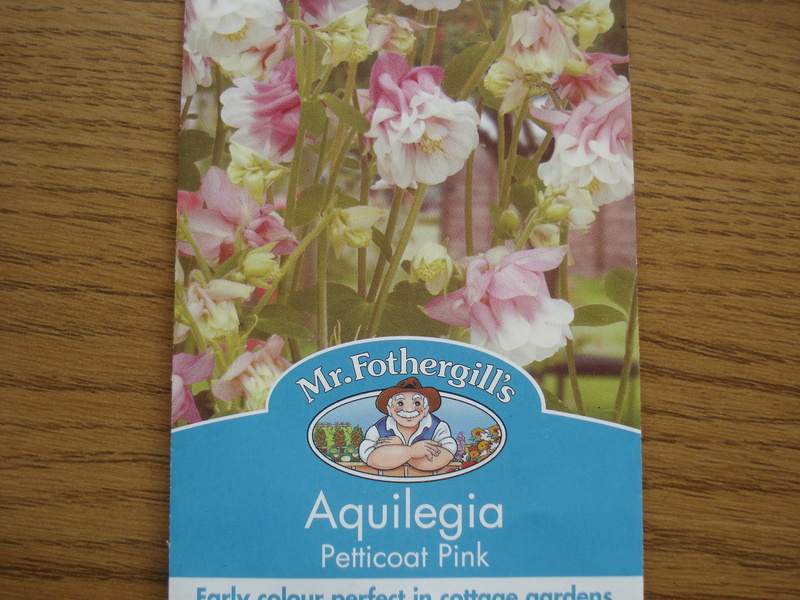 Reading the front of the packet it said to sow February to June, flowers May to July. Perfect, I thought, for some early colour and pretty little flowers. 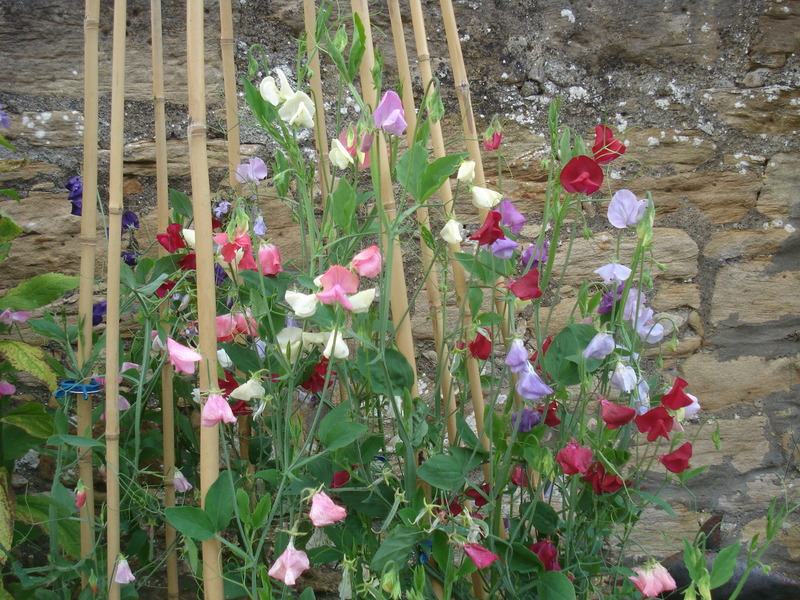 Only when I got home and went to sow the seeds did I realise that they are a hardy perennial which flowers the year after sowing! 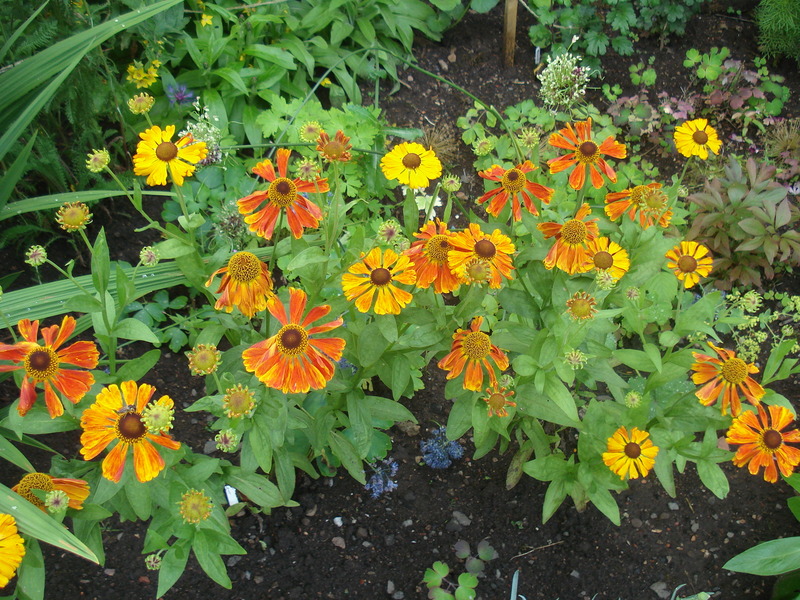 For novices reading this, a perennial is a plant which continues to grow for at least 3 years. It took me a while to learn that. 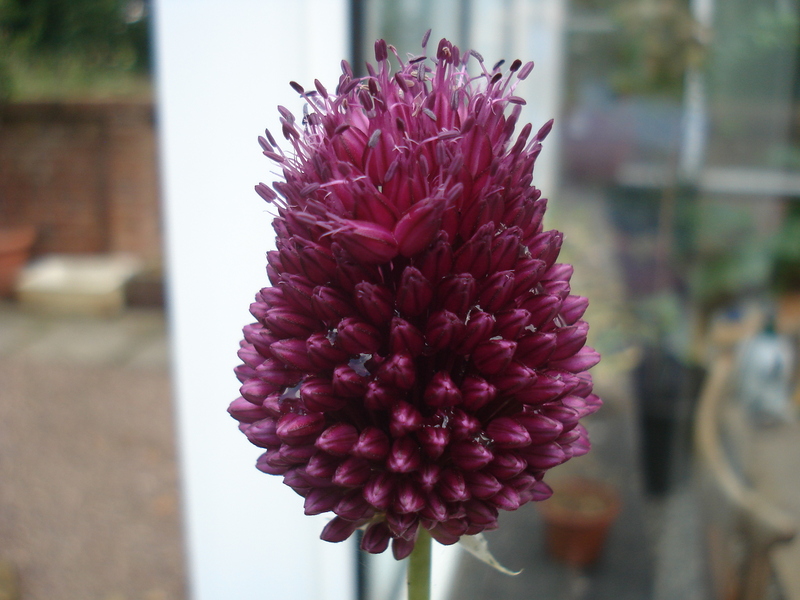 So although I had bought seeds for a plant that would not flower for at least 15 months, I would at least get a few years of benefit. 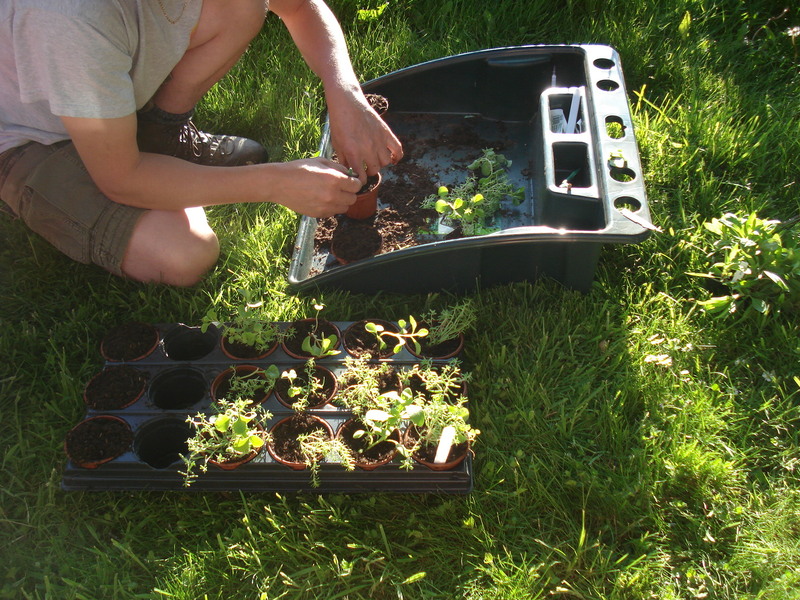 I planted the seeds on 20 April 2011, potted them on in June, kept them in a cold frame over the summer and planted them in the ground in their flowering position in September. Finally, after just over a year of waiting, the first flowers have come out. They are absolutely stunning. Smaller than I thought they would be and, in the ground, they look a bit spindly until they fill out, but a welcome addition of colour around the base of the apple and pear tree where I planted them. 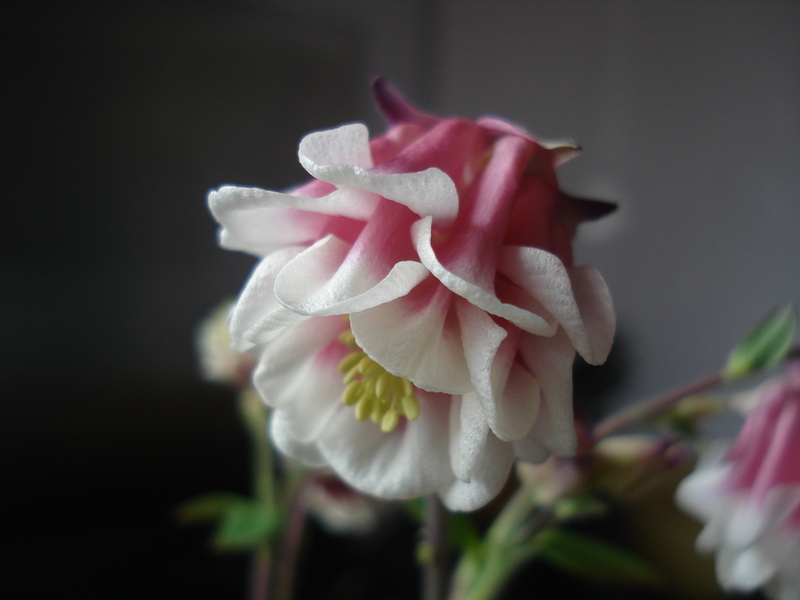 I am so pleased with them I have bought some more acquilegia seeds called lime sorbet and, provided they germinate and grow successfully, I will plant them in between the petticoat pinks. 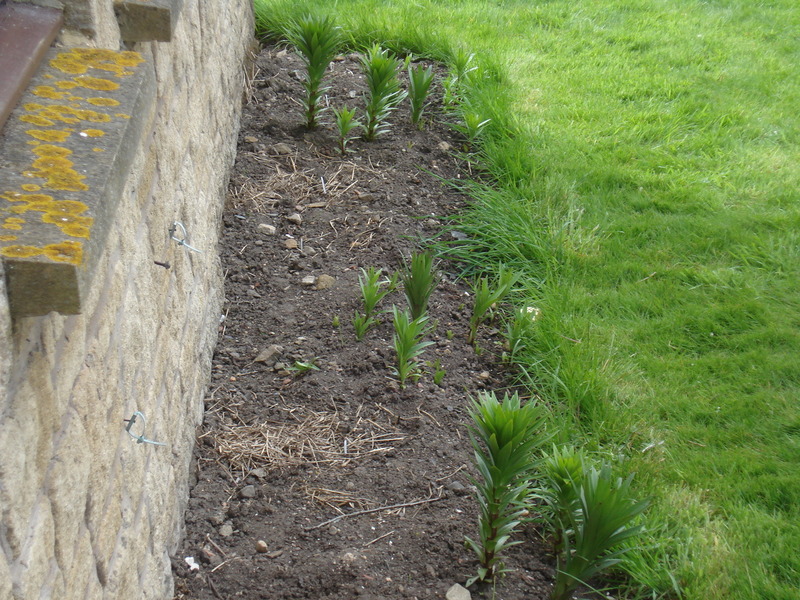 Once they have died back I also plan to plant the remaining tulip bulbs (the ones that did not get eaten by the pheasant!) in among them. 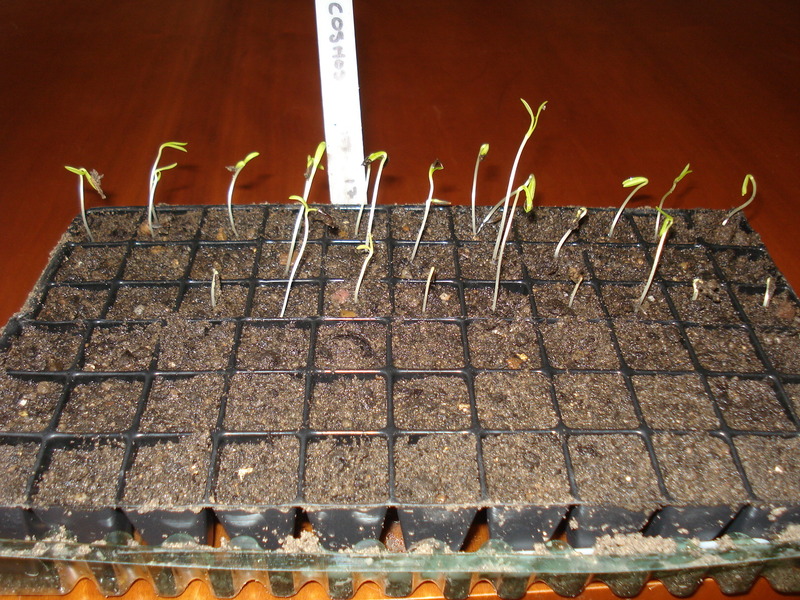 Some of you might remember I posted a blog on 30 March 2012 – Unidentified Growing Objects! Weird pineapple shaped plants were sprouting underneath the livingroom window and I assumed they must be dahlias as that is what I had grown there last year. I was not 100% convinced though because they were not in the same place and all the foliage was the same. I planted 4 different types of dahlia with dark green to lime green foliage and, in fact, waxed lyrical in my blog about the variety this provides even before the plants flower! Anyway, last night we had our regular Friday night date with Monty Don on Gardeners’ World. 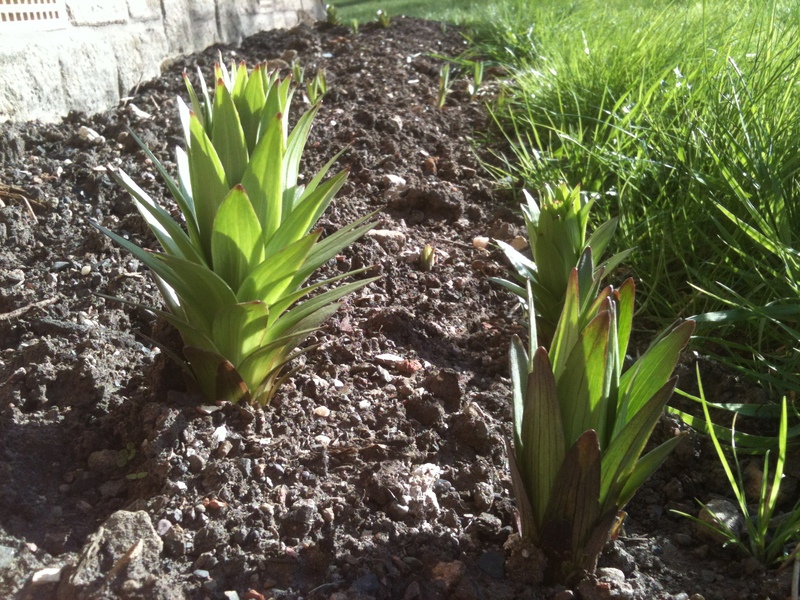 Monty was seen bringing pots of pineapple shaped plants out of his shed, ready to plant them outside. But Monty did not start talking about dahlias. Oh no. He started telling viewers all about his collection of………….lilies!!!!!!!!!!!!!!!!!!!!!!!!! My chin dropped into my glass of chenin blanc (don’t worry, I did not spill any). Then it all started to come back to me. 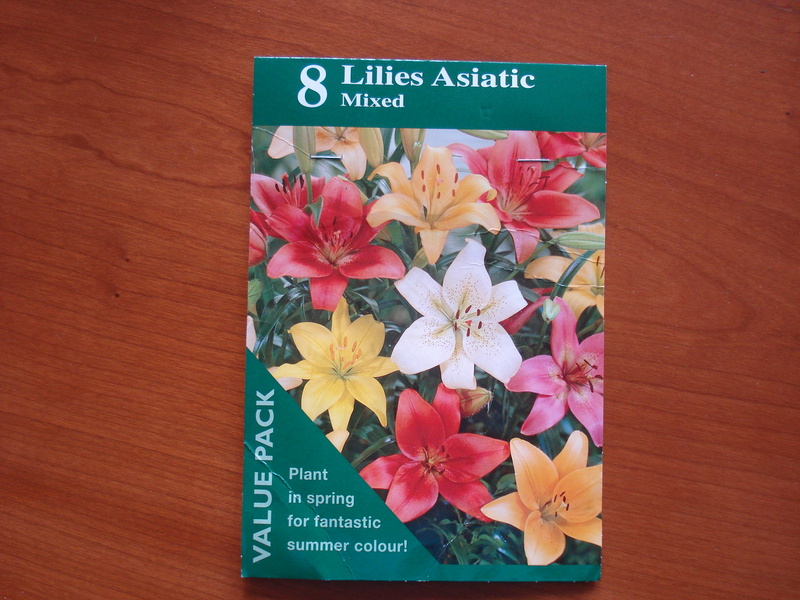 Last year we grew some asiatic lilies in pots on our deck. They were stunning when they flowered but the display was over too soon. 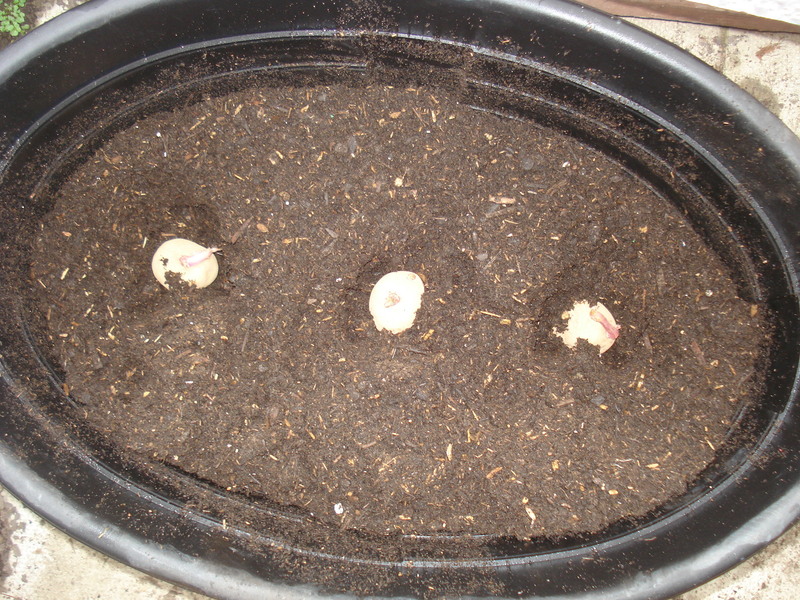 We must have needed the pots for something else and so emptied out the lily bulbs and planted them in the ground. I can’t really remember! Anyway, it has resulted in a happy accident. We will have some lovely lilies while we wait for the dahlias to grow. No sign of them yet though…. Always write down what you plant, when you planted it and where. When I plant things, it always seems obvious at the time but 2 weeks later when you have planted 100 other things in the meantime, things get blurry! 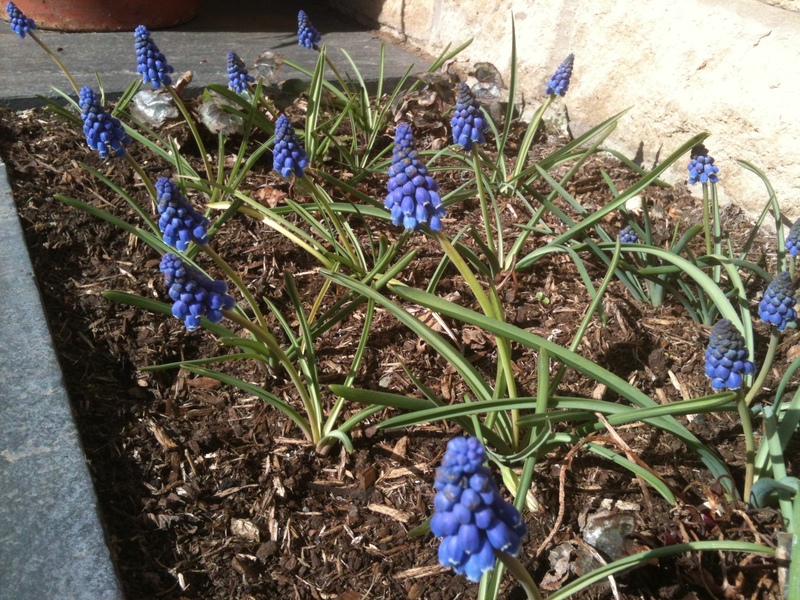 See my blog about my muscari for a prime example. Place a little marker in the ground so even when there is nothing there you will know there is something underneath the ground. This happened recently when Mr Mac dug up all my echinacea plants only to find the marker afterwards! That was how he realised it was echinacea and not weeds! Our first few years at this house were spent renovating inside. The garden was neglected other than cutting the grass, some emergency tree surgery and seeing what plants we had inherited. There was an overgrown bush in front of the kitchen window which blocked our view of the gate. 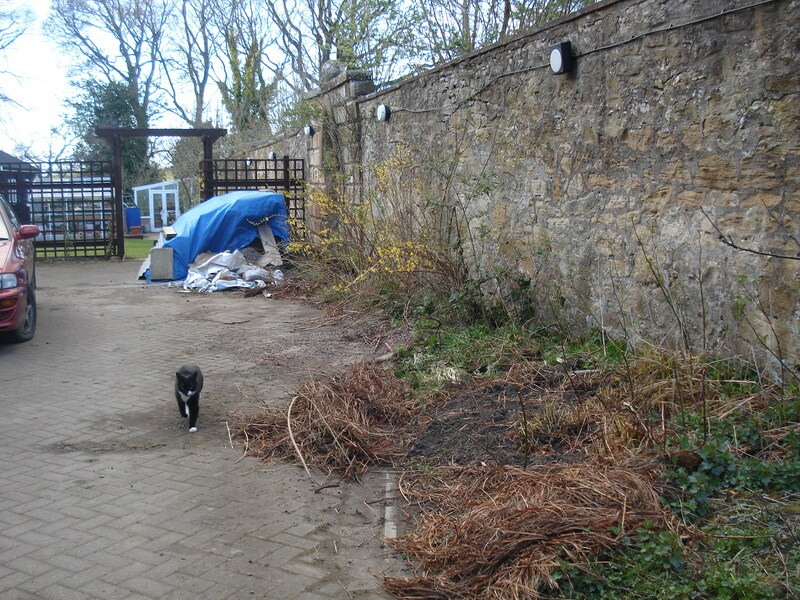 It was also a jaggy bush and as Mr Mac has made it his mission to eliminate all things jaggy from the garden, it was pulled out and burned. 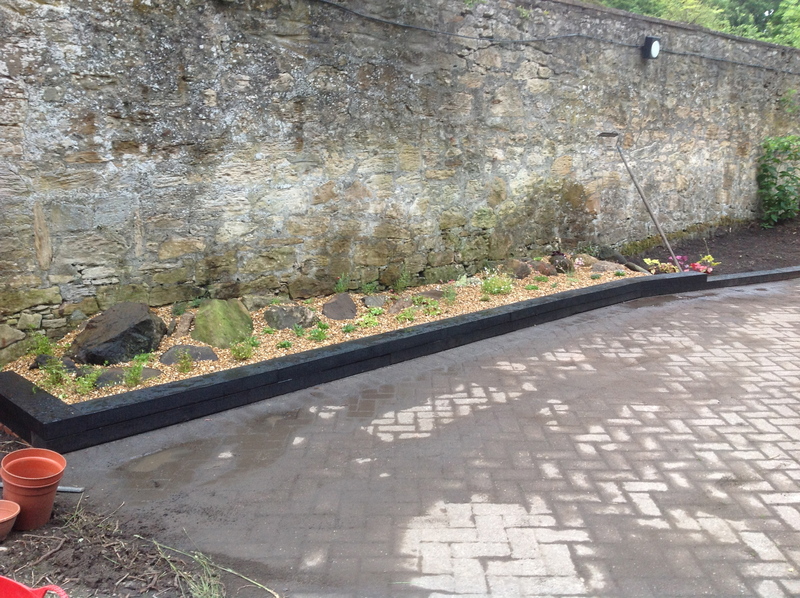 This did leave us with a large area to fill and so off we went to the garden centre to buy a selection of bedding plants to give us some colour for the summer. 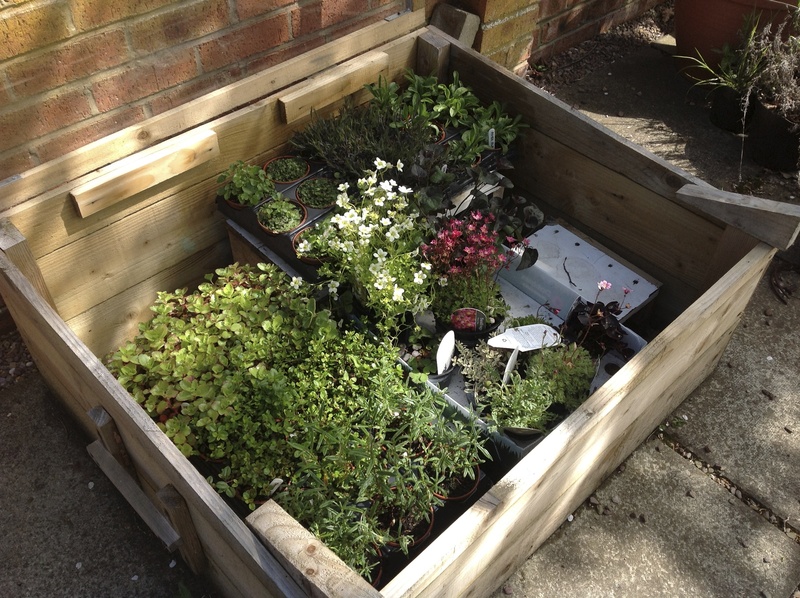 After parting with £50 of his hard-earned cash Mr Mac announced that from then on I could grow my own flowers! We bought a selection of livingstone daisies, calendula and zinnias and I fell in love with them all, especially the livingstone daisies. 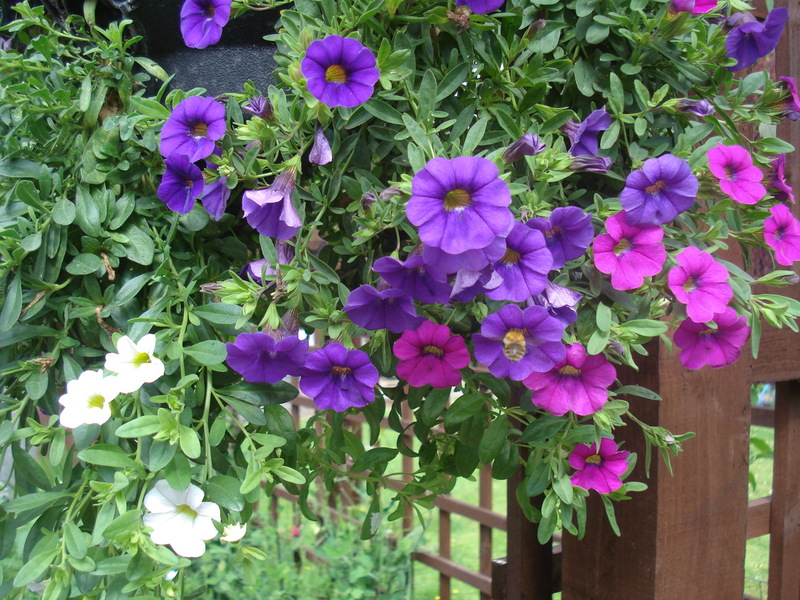 These are the flowers I chose for my blog banner at the top of the page. Now some of you may have noticed that there has not been much actual gardening going on over the last week although I have (hopefully) been keeping you entertained with tales of broken pottery and growing chips. There is a reason for this. See below! A victim of my own succcess! 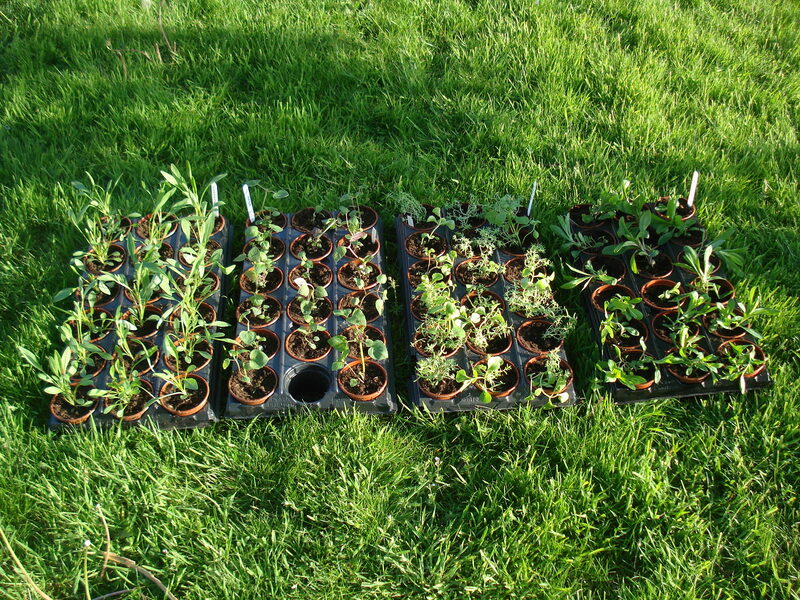 All of these little seedlings need a new home. 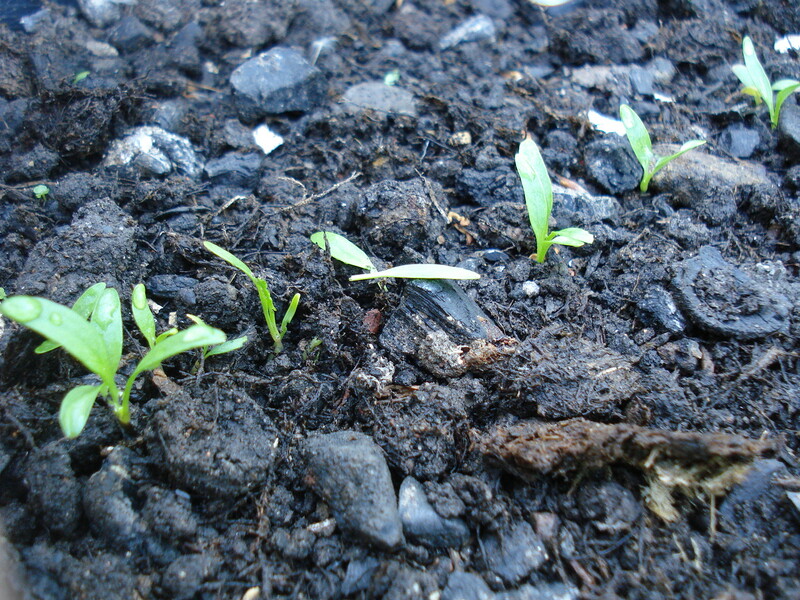 I planted a tray of livingstone daisy seeds and look at how they have germinated. I knew they were ready for potting on but I could not face it and kept putting it off. 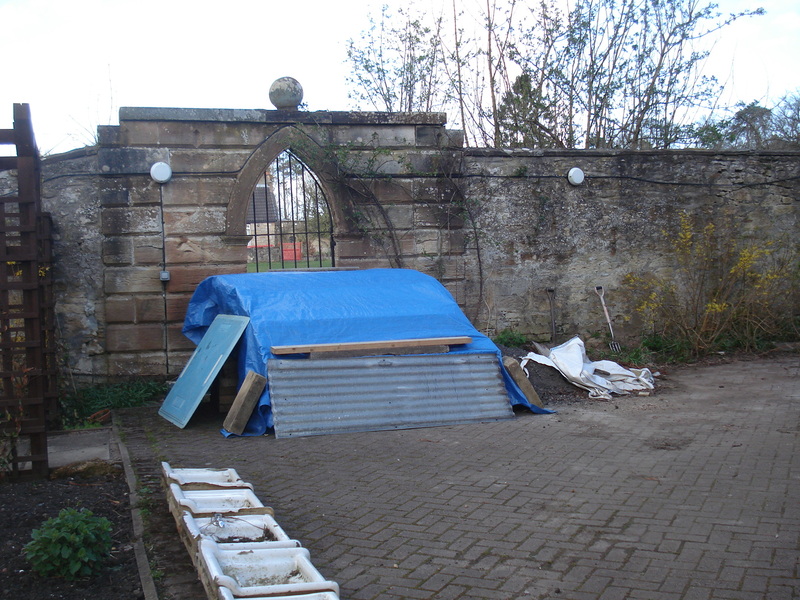 However, I had a word with myself yesterday, cleared a space in the greenhouse, put the radio on and got on with it. There was a lot of wastage but in the end I stopped after 360! 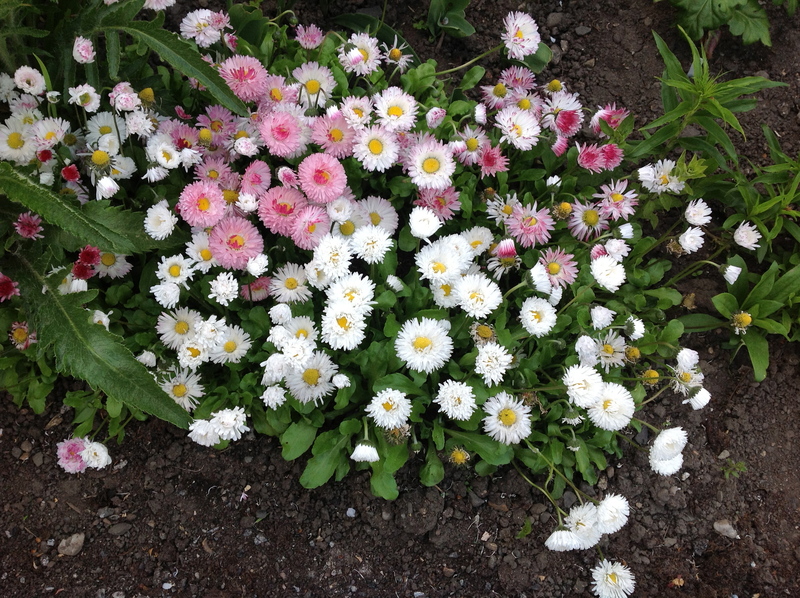 I grow so many because we have several long borders and the daisies create a stunning display as well as provide good ground cover. I have also grown some to give to friends. There were two things that kept me going. The first was knowing how fantastic they will look. When they open their wee smiley faces to the sun my heart just melts. 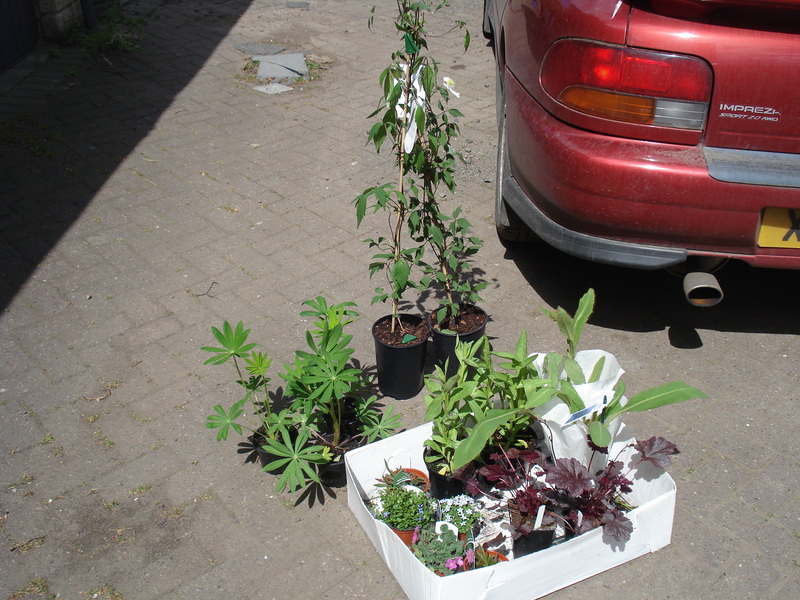 The second was the fact that the garden centre sells 6 plants for £3. So I calculate that for a packet of seeds that cost £1.49 I have saved Mr Mac £180! 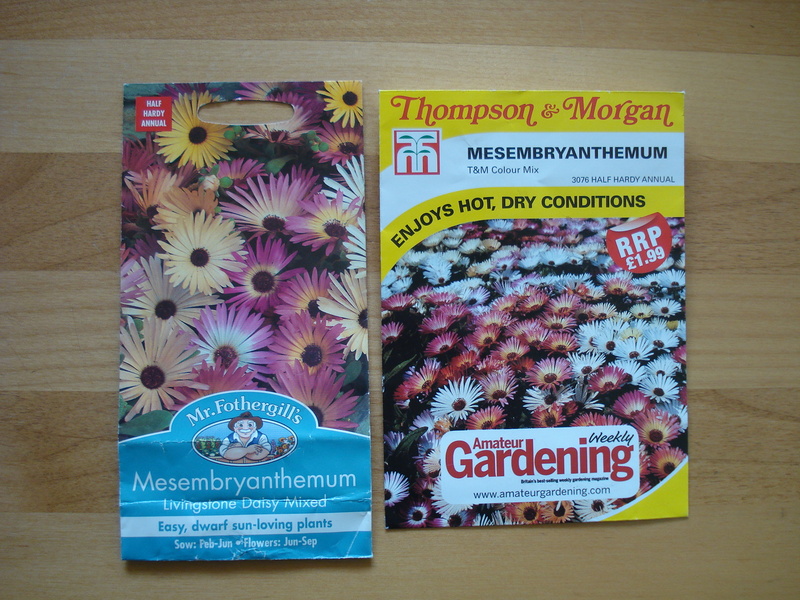 As a bonus this year I also got a free packet of livingstone daisy seeds with Amateur Gardening magazine (worth £1.99). They are a different variety but (thankfully!) have not germinated quite as successfully. They should be ready to pot on soon. If you are tempted to grow some I promise you, you won’t regret it. They are perfect for the edge of borders and seem to be able to grow in any type of soil as long they are in a sunny spot. 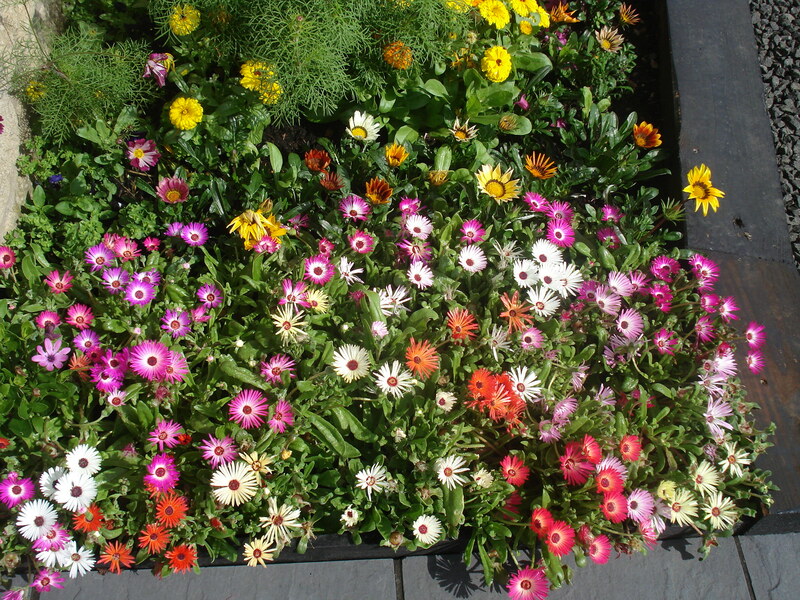 Their “Sunday” name is Mesembryanthemum which means midday flowering. They are native to South Africa and are also known as fig marigolds or icicle plant. This is what they looked like last year.